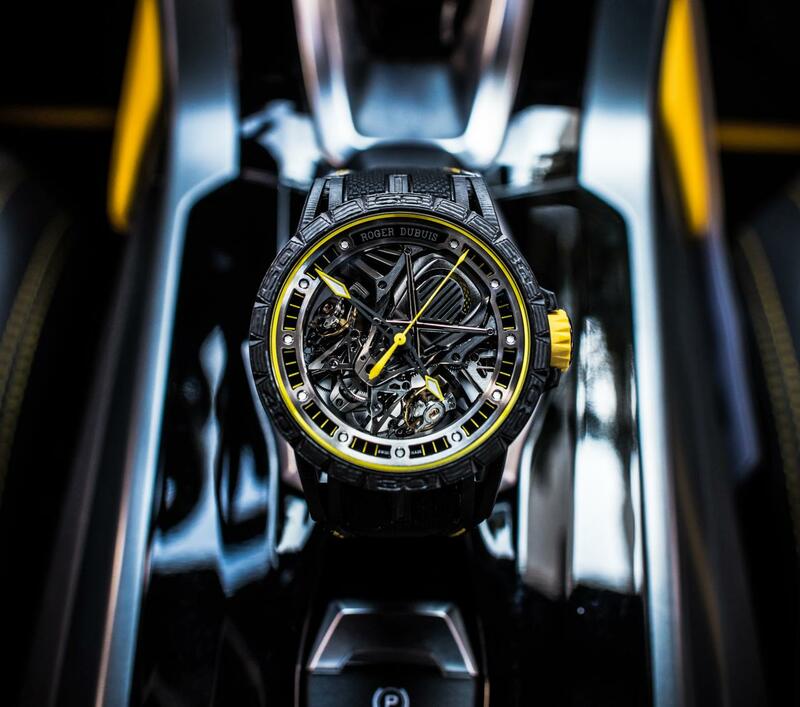 Roger Dubuis, one of the boutique names of the watch world, celebrated its new brand partnership with the famous Italian sports car manufacturer Lamborghini with two new models introduced under the Excalibur Collection. 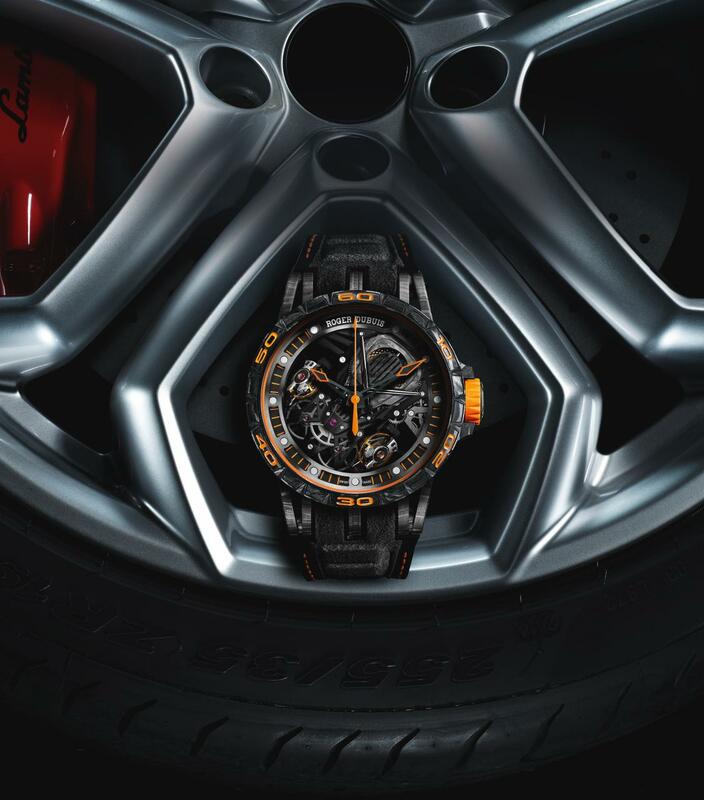 Roger Dubuis joined forces with Lamborghini, one of the indispensable names of super sports cars, after the partnership of the tire maker Pirelli and the famous design studio Italdesign Giugiaro, announced in SIHH 2017. The new business association is crowned with two Aventador S models to be included in the brand’s cult product line Excalibur Collection. The new models are powered by the in-house Caliber Duotor movement. 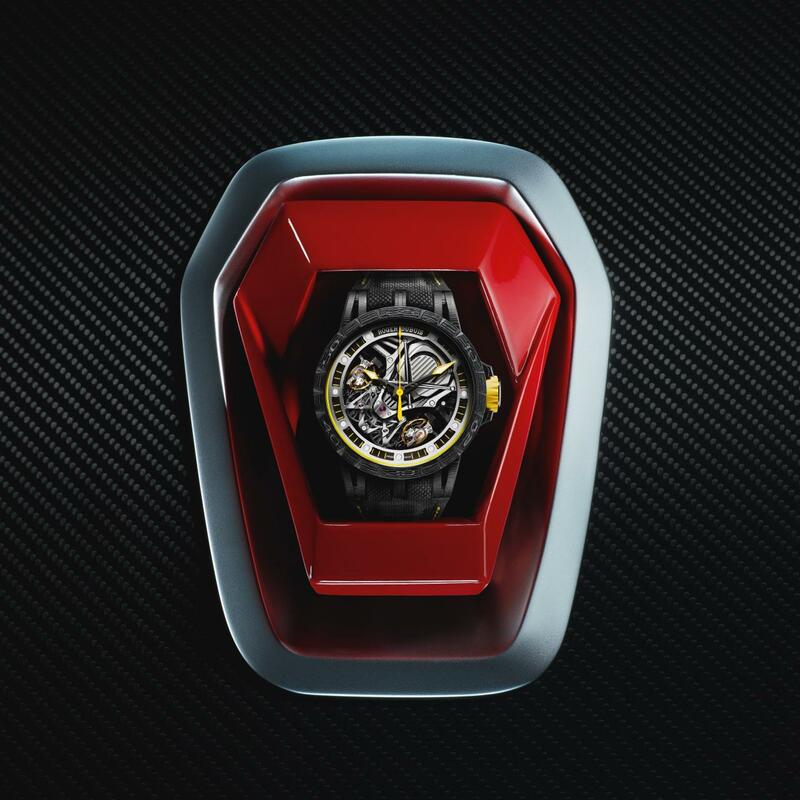 Designed with inspiration from atmospheric V12 engines in the flagship model of the famous Italian automobile manufacturer, the mechanism includes a lot of technical and aesthetic detail that refers to motor sports and Lamborghini. 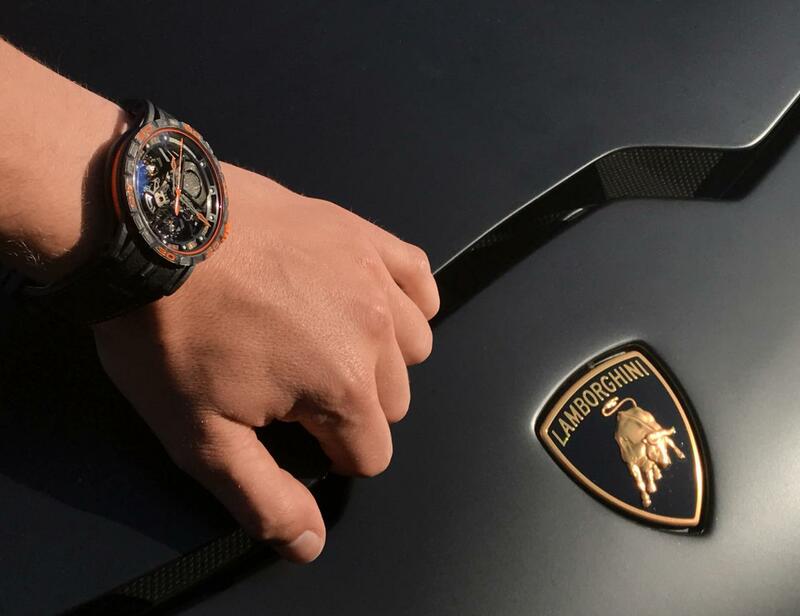 The movement features two balance wheels and it is distinguished by “engine strut bars” and bridges and inspired by the carbon fiber cross brace above the V12 engine inside the Aventador S model. Like the engine, the double balance wheels of the caliber are inclined and protected by bridges formed like a triangular wheel suspension assembly. Besides the time keeping function, Duotor features a dead-beat seconds complication and a power reserve indicator. There are two different versions in the new collection. Both models are presented in 45mm diameter cases. The first model is offered with in the cult color of the brand Giallo Orion yellow and produced from multi-layer carbon composite material. 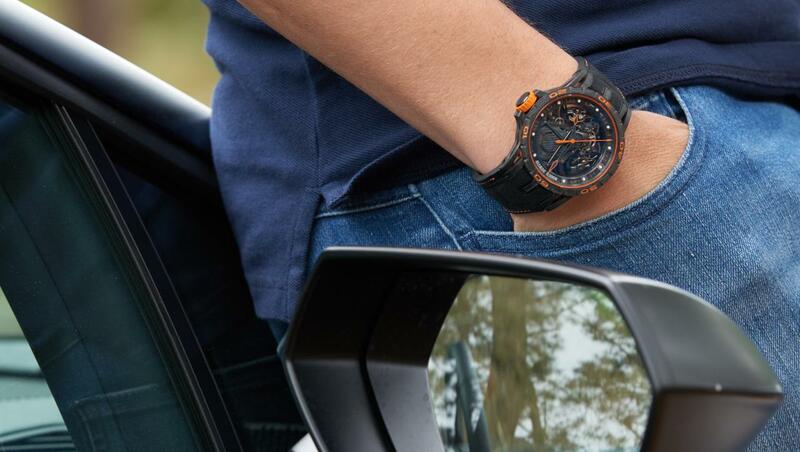 The other model is Arancio Argos orange and comes in a C-SMC (carbon sheet molding compound) material case. 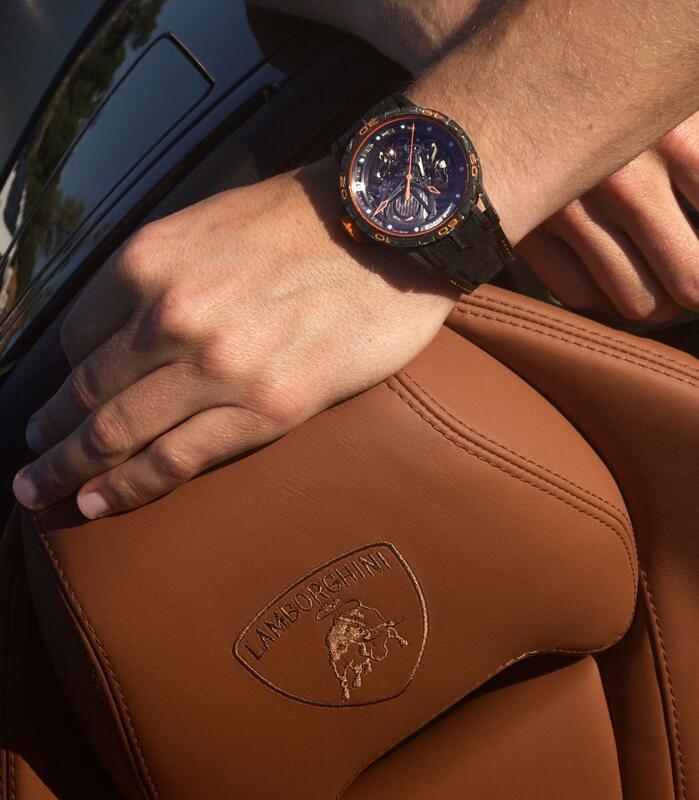 Both models carry Geneva Seal certification, just like any other model in the brand's product line. The Excalibur Aventador S Yellow (ref. RDDBEX0613) model is limited to 88 units only and priced at US $ 194,500, while the Excalibur Aventador S Orange (ref. RDDBEX0624) model with carbon composite movement is offered in a limited edition of only 8 units and is priced at US $ 216,000 (US list).